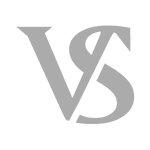 Possession of a Controlled Substance Defense : Meyer Van Severen, S.C.
Criminal defense law firm Meyer Van Severen, S.C. defends possession of a controlled substance cases. Whether you’ve been accused of possession of marijuana, cocaine, heroin, methamphetamine, or any other substance, we can help you. Criminal defense lawyers Meyer and Van Severen have defended all possession of a controlled substance cases. Our defense lawyers are familiar with the issues involved in defending your drug case. If you’re facing a drug crime anywhere in Wisconsin contact us immediately. Meyer Van Severen, S.C. is a 100% criminal defense law firm in Milwaukee. Possession of marijuana (THC) – What is it? Tetrahydrocannabinols. If a person possesses or attempts to possess tetrahydrocannabinols included under s. 961.14 (4) (t), or a controlled substance analog of tetrahydrocannabinols, the person may be fined not more than $1,000 or imprisoned for not more than 6 months or both upon a first conviction and is guilty of a Class I felony for a 2nd or subsequent offense. For purposes of this paragraph, an offense is considered a 2nd or subsequent offense if, prior to the offender’s conviction of the offense, the offender has at any time been convicted of any felony or misdemeanor under this chapter or under any statute of the United States or of any state relating to controlled substances, controlled substance analogs, narcotic drugs, marijuana, or depressant, stimulant, or hallucinogenic drugs. A first offense possession of marijuana offense can be charged as a misdemeanor, carrying with it a penalty of 6 months jail, a $1,000.00 fine, or both. A second or subsequent offense can be charged as a Class I felony. That felony carries with it a penalty of up to 3 years 6 months in prison, a $10,000.00 fine, or both. An offense is considered second or subsequent if, prior to the conviction of this offense, the defendant has been convicted of a prior felony/misdemeanor drug crime. Possession of a controlled substance cases can sometimes be negotiated down to a first-offense penalty. Our defense lawyers have succeeded with this strategy. The world is changing. Marijuana is legal for recreation use in certain states. Unfortunately, it is not yet legal in Wisconsin. We believe it’s important to hire an attorney who understands the changing legal climate involving marijuana. Certain prosecutors don’t seem to recognize that things are changing. Combat their unreasonable demands by hiring an aggressive criminal defense attorney like Meyer. Possession of cocaine (and cocaine base) – What is it? If a person possesses or attempts to possess cocaine or cocaine base, or a controlled substance analog of cocaine or cocaine base, the person shall be fined not more than $5,000 and may be imprisoned for not more than one year in the county jail upon a first conviction and is guilty of a Class I felony for a 2nd or subsequent offense. For purposes of this paragraph, an offense is considered a 2nd or subsequent offense if, prior to the offender’s conviction of the offense, the offender has at any time been convicted of any felony or misdemeanor under this chapter or under any statute of the United States or of any state relating to controlled substances, controlled substance analogs, narcotic drugs, marijuana, or depressant, stimulant, or hallucinogenic drugs. A first offense possession of cocaine case carries with it the possibility of a $5,000.00 fine and 1 year in the county jail, or both. A second or subsequent possession of cocaine case is a Class I felony. A Class I felony has a maximum penalty of 3 years 6 months in prison, a $10,000.00 fine, or both. Considering these serious penalties, it is obvious why a Milwaukee criminal defense attorney may be important in assisting your possession of cocaine defense. Possession of heroin (narcotic drugs)? If a person possesses or attempts to possess a controlled substance included in schedule I or II which is a narcotic drug, or a controlled substance analog of a controlled substance included in schedule I or II which is a narcotic drug, the person is guilty of a Class I felony. You’ll notice that possession of these substances isn’t broken down into first and subsequent offenses. Heroin, no matter the amount, is dealt with very aggressively. A Class I felony carries with it a maximum penalty of 3 years, 6 months in prison and a $10,000.00 fine. Prison is a potential for a first offense. Heroin cases are extremely dangerous. Often prosecutors want you to go to prison. Contact our defense lawyers immediately if you’re facing this or any other crime. Possession of methamphetamine or its analogs is punishable by a Class I felony, subjecting an individual to up to 3 years 6 months in prison, and/or a $10,000.00 fine. If a person possesses or attempts to possess methamphetamine or a controlled substance analog of methamphetamine, the person is guilty of a Class I felony. Methamphetamine, like heroin and narcotic drugs, is dealt with aggressively in first-offense scenarios. Meth possession can lead to an individual being sent to prison after possessing the substance just once. Why Meyer Van Severen, S.C.? Attorney Matthew R. Meyer and Attorney Benjamin T. Van Severen are 100% committed to criminal defense. A significant portion of that criminal representation is focused on drug crimes. Drug crimes carry with them special circumstances that only an attorney well-versed in drug defense will know how to deal with. For example, constitutional principles are often involved in drug cases. Police often don’t see drugs out in the open. Drugs are found after law enforcement search you, your vehicle, or your home. Sometimes drugs are located after a search warrant is executed. Your criminal defense attorney needs to understand how to challenge illegal police action. If we’re able to successfully argue that the police violated your constitutional rights, we may be able to get all evidence against you suppressed. If that happens, we might be able to get your entire case tossed.